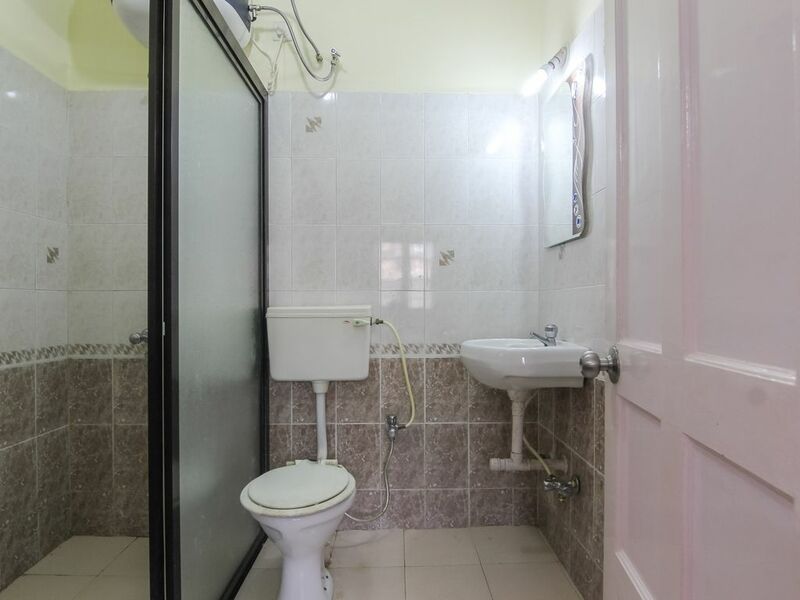 This 3BHK apartment is in a guarded gated society in Calangute. Private parking space is available. The apartment is located on the 1st floor. The living room consists of 2 three-seater sofas, 2 single seater sofas, 1 LCD TV (with cable connection), and 1 classy coffee table. Adjacent to living room, there is a partial kitchen. It consists of 1 refrigerator, 1 microwave, 1 proper gas with necessary utensils for cooking, essential crockery units, 1 aquaguard, and 1 toaster. The living room also has a swimming-pool-facing balcony. In balcony, there is 1 coffee table and 2 chairs. The living room is further connected to 3 bedrooms and 1 washroom. Bedroom 1 is a master bedroom. It includes separate washroom. Master bedroom has 1 wardrobe, 1 double bed, 1 AC, and 1 separate mirror, and 2 side tables. Bedroom 2 has 1 double bed, 1 extra mattress, 1 balcony, 1 separate big mirror, and 1 AC. Bedroom 3 has 1 AC, 1 double-bed, 2 sidetables, and 1 wardrobe. This luxurious 3BHK apartment is suitable for 9 adults and 1 kid. ( Ideal for 6-7 people, capacity 9 people). P.S. Apartment is equipped with powebackup.